A pharmacy tech looted 262,000 hydrocodone pills from the Providence Sacred Hart Medical Center Pharmacy over four years, until some one noticed. But the pharmacy tech is a minor part of the story. DEA joins Sacred Heart pill theft investigation | Spokane/E. WA – KXLY.com. No effective inventory control to detect theft, even of tightly regulated narcotics. Anyone could login to the pharmacy’s computer system using the account name ‘student’ and password ‘student’, hence, no security controls and no logging of individual access. Who thought granting all students a single account, whose login credentials never changed, made sense? Who thought it appropriate for students to order narcotics and be untrackable? Who thought it appropriate for students to be allowed to manipulate the pharmacy’s inventory records? If Sacred Heart messed up this badly, what should we be thinking of the rest of the facility, staff and services? The words “best-in-class” and “award winning” do not come to mind. Patients have to pay higher fees to cover SHMC’s long term drug thefts (and how many other thefts have been occurring?) The community suffers from high crime rates as addicts steal to buy stolen pills pilfered from SHMC. Sacred Heart’s actions looted the community. SHMC has no idea what “best-in-class” means or this would not have happened. This story is about management incompetence, not about a lowly pharm tech. This post is not one of our usual data-backed posts. I put it here in the interest of trying to figure out why the local economy stubbornly lags the state and the nation. We know that Sokane’s wages fall further and further behind year after year, for decades. What causes this? At this point, it seems to be due to a combination of indifference, incompetence, lying and a local cartel. These issues turn up much too often – why? Update: Some think we might hire pals and family rather than the best. Low skill, low wage categories including retail, restaurants, hotels, recreation, trucking, warehousing. Various small categories including low skilled and high skilled workers. Categories 1, 2 and 3 will account for 60+% of the local economy. Here’s the number of workers, per category, flipped from horizontal to vertical to present the relative size differences. Retirees and transfer payments are not shown in the chart but would be in the top 3. Here is the impact of transfer payments. As you can see, transfer payments are a large component of the local economy. 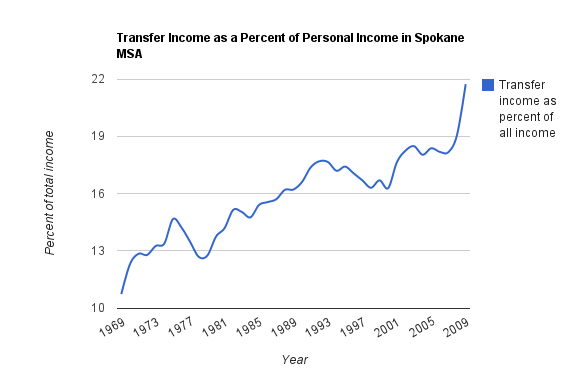 For more information on transfer payments please see “Trend of Transfer Payments into Spokane County“. 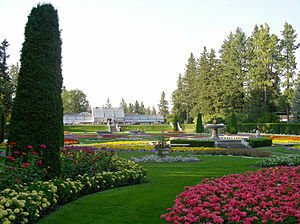 Previously, many people retired from Southern California and took their large real estate capital gains to low cost Spokane. That source of retirees is diminished due to the housing collapse and its return in the future is not predictable. This is an important driver for health care, housing and service sectors. Inbound migration may be at reduced levels for a long time. The State adopted an industrial clustering policy where the state selects the industry clusters to be supported in each region. The primary clusters for Spokane are health care, education, and trucking and warehouse operations. Manufacturing has been in a slow national decline for 30 years. Health care is on a growth streak due to retirees, a doubling in individual use of medical services over the past 30 years, and more recently by expectations of “ObamaCare” leading to an expectation of increased demand for services primarily paid for by someone else. The loss of retirees from Southern California produces risks to the area’s current strategy and may be why the 2011’s local economy continues to remain stuck well below 2007 levels. On the plus side, the nation’s overall large “baby boom” approaches retirement years. However, where they choose to settle in their retirement years will have a big impact – and some think relocating as part of retirement may be thing of the past, not of the future. There is a risk that the health care act might not play out as expected. It is possible that court challenges may limit the growth in the health business sector. There is a risk that shifting more money into health care services without addressing the exorbitant prices charged and excess consumer demand for health services paid for by other people means less money for the production side of the economy. This is not a sustainable path. Spokane’s future is based on retirees and health care – but that future has risks. And a big risk is there is no plan B. Greater Spokane says our region’s primary competitive advantage is low wages and low land and housing costs (or stated another way, poverty). Per Greater Spokane, our region’s competitive advantage is low prices. And no one in power wants that to change. Spokane will be the state’s low wage, low cost housing and low cost land destination. This appears to be by design. Outside of the key clusters, wages and opportunities will be limited. The substantial quantity of data collected on this web site, and reviews of all the economic plans going back to the 1980s show that the chronic low wages and limited opportunities are endemic to Spokane. Every one of the plans mentions these problems. These problems remain because not many people want to embrace change – low wages are a feature and are by design. The area is settling into a future as a comfortable government-funded enclave of government and health care workers, and retirees collecting benefits. 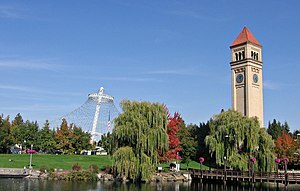 Everything on this website has been mentioned before, often many times, in prior economic studies about Spokane. What I present on this website is not my opinion but is backed by data and numerous studies. This view is shared by business leaders of the past, by various politicians, current and former academic administrators and many more. The data tell this story, not me. See the recommendations links at the right of this page. Lots of bad decisions were made in the past. It’s been an interesting experience to go from wondering why so many businesses disappeared to finding out what really happened. The answer was not at all what was expected. This web site will now be updated primarily for major events or changes. Link to report: Spokane Community Indicators. But realistically, per capita income has declined across much of the country in 2009, and generally declined more than in Spokane. Spokane’s government and health care dominated economy makes it somewhat immune to the real economy. Much of this is due to large income gains in health care of about 10.8%, and 5.7% in government (local, state, and federal). But because of a large drop in manufacturing incomes – almost 14% – as well as smaller but significant decreases in Retail Trade (-4.6%), Finance and Insurance (-3.7%), and Professional, Scientific, and Technical Services (-2.9%), those other gains were not large enough to offset the increase in population. That is why we saw a decrease. And once again – if you do not work in government/education or health care, Spokane is probably not your best choice for career options.